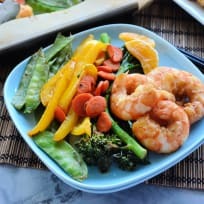 Enjoy a delicious healthier dinner of Sheet Pan Shrimp Stir-Fry in just 30 minutes time. Prep in the morning and bake on a sheet pan at dinner time for an easy and delicious quick dinner. Learn how to make roasted potatoes! They’re so delicious. This easy roasted garlic hummus is silky smooth and full of roasted garlic flavour. 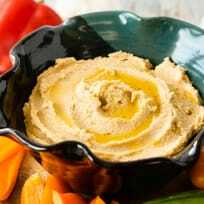 Quick and easy to make, this homemade hummus is the perfect snack! 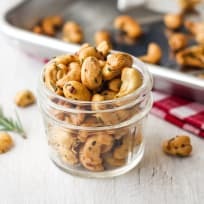 Rosemary cashews are an easy snack that’s loaded with savory-sweet flavor. Use your toaster oven to make this small batch recipe, it’s so easy! Avocado Ricotta Tomato Pesto Layer Dip is a new take on the classic layered dips that you grew up with. Instead of seven layers, this 5-layer dip is creamy and rich, without being too heavy. Served on top of crunchy, toasted bread, it’s an easy appetizer that you can even make ahead of time! 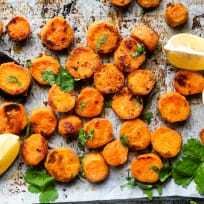 Toaster Oven Rosemary Potatoes are any easy side dish of crispy baby potatoes and fresh rosemary. 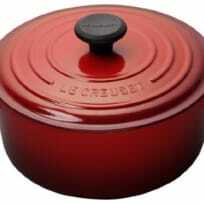 They’re a tasty addition to any weeknight dinner or your holiday table. Turmeric and spices turn your plain cauliflower into a vibrant side dish or snack. Deliver delicious turmeric roasted cauliflower to your table with this easy recipe. Toaster Oven Roasted Broccoli is the perfect quick and easy side dish. From kids to adults, everyone loves it! This Rosemary Pork Tenderloin Sheet Pan Dinner has it all! Have dinner on the table in less than 40 minutes. Juicy pork with tender roasted carrots and potatoes is what’s for dinner tonight! Feels Fancy Figgy Chicken is my new go-to dish when I need to make something on the quick, but I want it to feel a little fancy. Sweet caramelized shallots, sticky dried figs, fresh thyme, and bourbon vanilla - it FEELS fancy! But it's really just a simple chicken dish you can whip up anytime.